Hayward & Cable, Wisconsin Fishing & Ice Fishing Guide! Whether you are looking for a professional fishing guide or bird hunting outfitter, let Recreational Rental Properties take care of booking you an experienced hunting or fishing guide for your next stay. Mike Best is a professional Wisconsin licensed fishing guide with 20 years of experience fishing the waters in the Cable & Hayward Areas of Northwest Wisconsin. Mike grew up on the waters in the Hayward Lakes Area of Northwest Wisconsin and offers a wealth of local knowledge and experience! 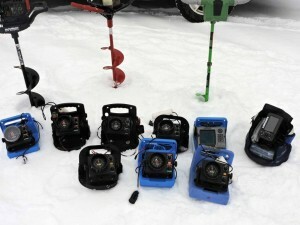 When the lakes freeze, Mike specializes in guided and outfitted ice fishing day trips. 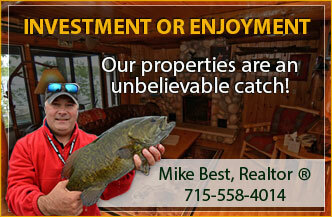 Enjoy a fun winter day fishing through the ice and return ‘home’ to your cozy vacation rental with a warm fireplace! 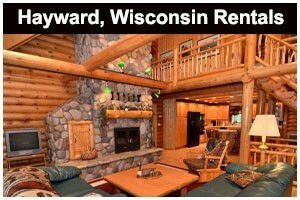 It’s a great way to experience the beauty of a Wisconsin winter! 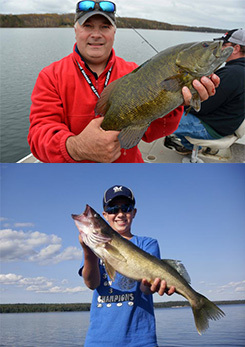 Mike will fish for a variety of species including walleye, musky, small mouth bass and panfish (crappie and bluegill). Fish in comfort in a 18′ Monark with a 140 HP Suzuki motor. Eight hours of fishing with up to 4 people in boat. Eight hours with up to 4 adults (additional adults are $50 per person). Power auger and all bait and tackle. Pickup and cleanup at the end of the day. Four hours with up to 4 adults (additional adults are $50 per person). Remote fishing experience for up to 4 adults (additional adults are $50 per person). 0.5 mile walk/snowshoe/ski to remote wilderness lake. 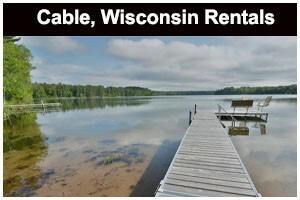 Includes all ice fishing gear, snowshoes, skis, sleds and 2 person tent. Setup fire to cook a hot lunch. Catering to the foot hunter in pursuit of all wild game birds over classic pointing dogs we have been in the guiding business for over 25 years. Hunt behind our world class Brittanies or bring your own dogs for ruffed grouse and woodcock in the forests of Northern Wisconsin. These hunts are not for the faint of heart as you will be walking miles in a day’s hunt, however heart stopping memories will be your reward. If you are looking for traditional style foot hunts over savvy pointing dogs Classic Bird Hunts is the outfitter for you. Upland hunting and bird dogs is our passion and our life and we enjoy nothing more than sharing the tradition with you.